A common misconception when starting a new business in Minnesota is that if the secretary of state (or another government agency in charge of registering businesses) does not object to a proposed name during the formation process, then that name can be used freely and without potential risks. Unfortunately, the reality is very different. A new business faces many challenges during the start-up process and spending time and money just to select a name for the business entity may seem like a waste of time and energy. However, if a business happens to choose and utilize a name that violates another person’s or entity’s existing trademark rights, the new business owners could find themselves in a messy and expensive battle. Spending the time and money to defend a trademark infringement lawsuit can often prove fatal to a new business. When a person wishes to incorporate a new corporation or organize a new limited liability company or other form of business entity, the process starts with filing the required documents with the applicable state agency that registers business entities (i.e., secretaries of state, divisions of corporations, etc.). Most of these agencies will perform a very cursory search of existing and previously used business names to verify that the name chosen for the new entity is available. As long as there is any kind of difference, no matter how minor, between the new business name and existing names, the new business name is rarely, if ever, rejected. For example, there are literally dozens of entities listed in the Minnesota Secretary of State’s database that begin with “McDonald.” If a business were to apply for registration as “McDonald Grill, Inc.” and that name is not already registered in Minnesota, the registration would likely be successful. However, the business adopting that name could be opening itself to potentially significant risk, especially if the business will operate as a restaurant. McDonald’s Corporation would almost certainly send a cease and desist letter (if not commence a trademark infringement lawsuit) shortly after the first meal was served at the McDonald Grill. 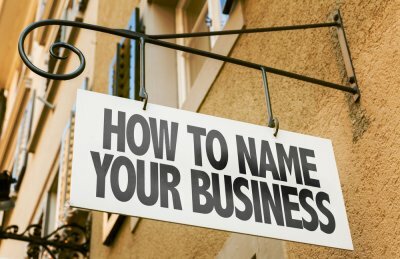 In view of the preceding, it is important for new businesses to do additional research before selecting a name. A key factor in determining the appropriate amount of research on the availability and use of a business name depends on both the nature and intended scope of the business. A very limited, local business does not likely warrant much of a review, while a business with nation-wide aspirations should undertake a more substantial review. The first step in determining whether your intended business name might be problematic is very simple and inexpensive: an Internet search such as using Google. It does not cost the business anything but a few hours (or less) of the new owner’s time and an Internet connection to identify other businesses with potentially conflicting names and where they are located. If no obvious issues can be identified during the Internet search, the next step is a formal trademark search. This search should not only encompass the words included in the desired business name, but also the products or services that the company desires to offer, both initially and in the future. While one can, via the Internet, obtain free access to the trademark records of the U.S. Patent & Trademark Office as well as many state databases (for trademarks and registered business names), obtaining reliable results can be very challenging for anyone who is not experienced in conducting these kinds of searches. Such a search and opinion is typically less than $1,000. For larger entities, especially those that are intended to have a national or international scope, the name search should encompass all state business databases (e.g., secretaries of state), trade publications, and even domain name registrations. These more extensive searches should nearly always be conducted by a law firm or other experienced researcher. It has become more of an art than a science to effectively conduct searches that reveal potential naming conflicts. Lawyers and professional search providers know where and how deep to look for relevant information. Even for the most comprehensive of searches, the cost would likely be less than a few thousand dollars. When viewed in light of the overall investment involved in starting a business and the potential risks and expenses that such a search can help a new venture avoid, this start-up cost is really quite a small, yet wise, expenditure. For example, a comprehensive name/trademark search will cost considerably less than the cost of updating a website, a store-front sign, or any printed materials related to the business when it is later determined that the entity cannot continue under its current name. Once the business has determined that its name can be freely used, the final step in protecting a business name is to file a trademark application with the U.S. Patent & Trademark Office. By obtaining a trademark registration, the name will be in the federal trademark database, which discourages other companies from using a similar business name or trademark. Because a federal trademark registration applies throughout the United States, registration provides a business with the ability to start the business in one particular area while retaining the ability to expand into other areas of the country without the fear of potentially infringing on another name or trademark in a different state or locality. In the majority of situations, the total cost involved in filing for a federal trademark and ultimately obtaining a registration of that mark is less than a few thousand dollars. By investing some time and a little capital on a professional search and, potentially, the registration of its intended name, a new business will avoid potential significant future risks and costs while also protecting its name and its brand for many successful years to come.